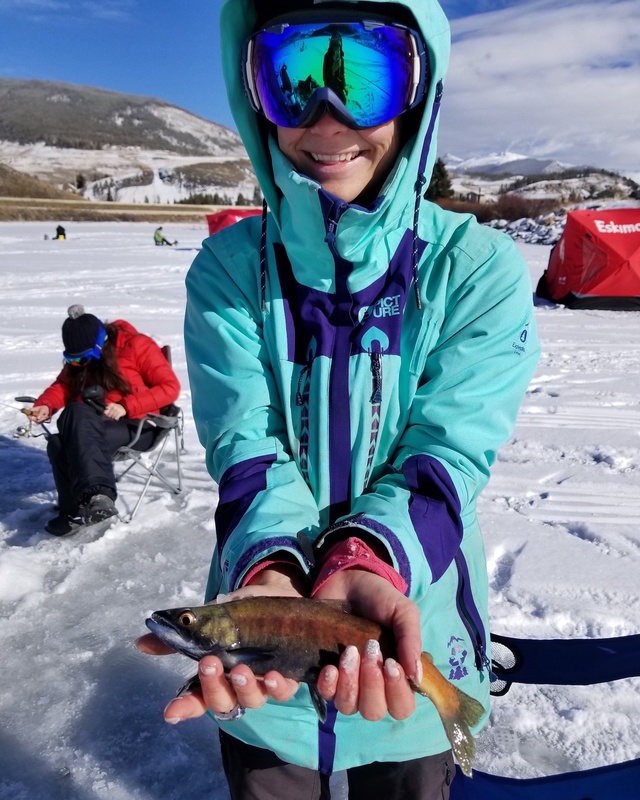 Silver Flask is a 5-star ice fishing and fly fishing outfitter located in Summit County Colorado. 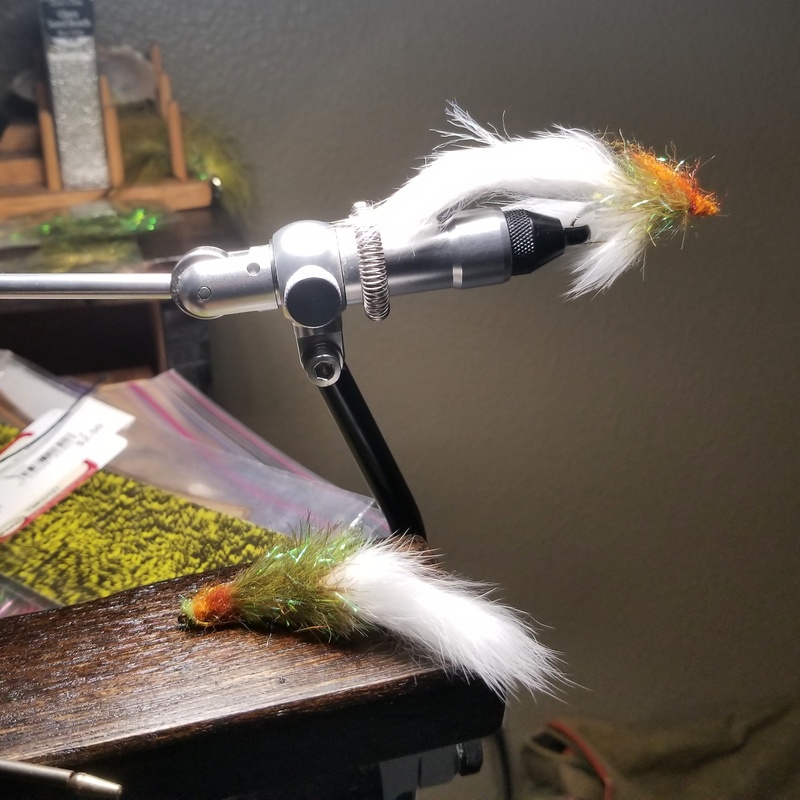 Founded in 2017 by George Peebles, an avid angler and innovative teacher who came up with the name of the business after receiving a silver flask as a gift from his brother. Owner of Silver Flask Fishing, George Peebles, has been an avid angler and guide for over 20 years. He started his journey into the fishing industry when he was in the mid-west guiding tours following college. After receiving his MBA, he dabbled in guiding while working his way up the corporate ladder, in an unrelated industry. Although George had reached the top of the corporate ladder, he still found that something was missing. 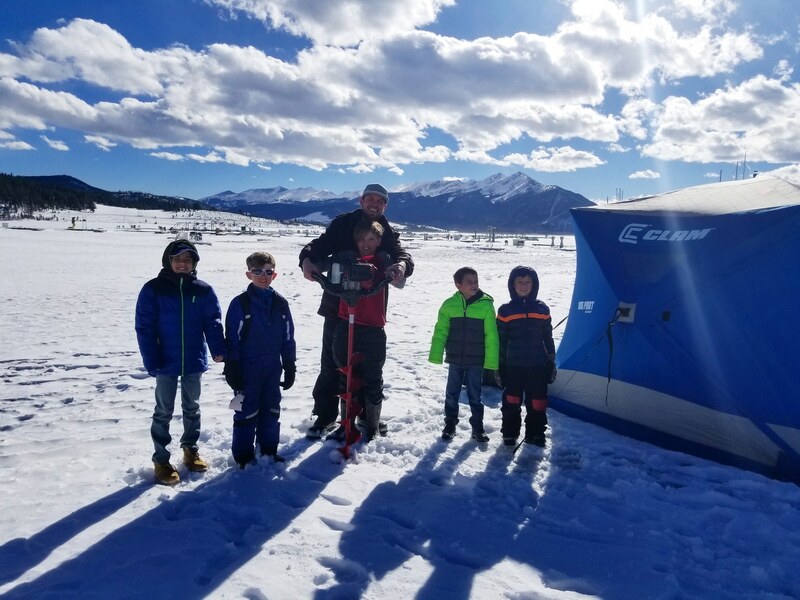 Through a chain of events and searching for a place in Colorado to ice fish, he began his journey to Lake Dillon to try his hand at guiding. The journey itself was arduous, to say the least, as he drove from his home in Wisconsin into the unknown that was Colorado and the Rocky Mountains. Reaching the Colorado state line, he entered the new world that would become his lifelong dream, which was teaching people how to fish. Upon arriving at his new residence, he found that he was living in an old fishing community in Summit County located above 9,000 feet. It was fitting that his new residence had private fishing access and was an old fishing community. 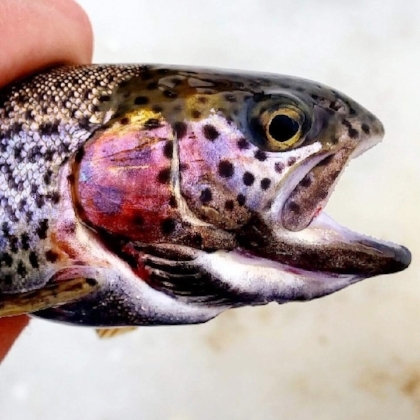 By studying Lake Dillon, George developed a better sense of what was going on in the fishery. Following hundreds of guided trips led by George, and managing other outfitters, he came to realize how to reach his goal of being a professional guide and teaching people how to fish. 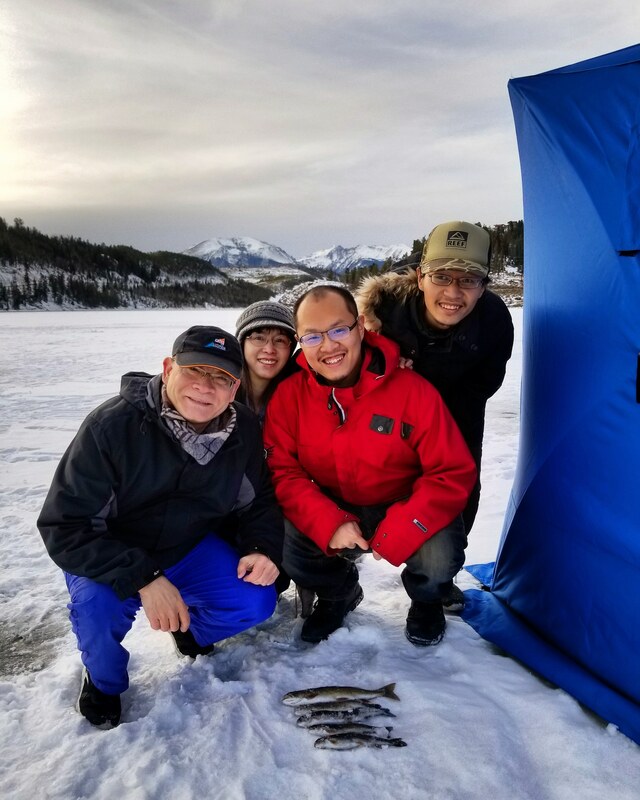 Guided ice fishing tours on Lake Dillon led by a local with many years of ice fishing experience. 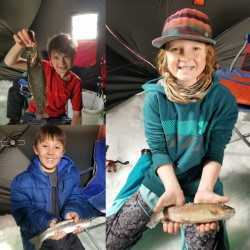 You will be taken out in a heated ice shelter and will be taught unique techniques to catch fish in a high alpine environment. Silver Flask uses the latest innovations and technologies to create an atmosphere that is comfortable and effective for the solo angler or for the whole family. 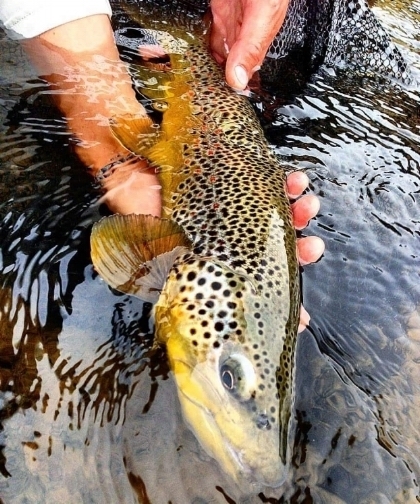 Ask about packages where the owner will tie flies specific for your trip. Hours are flexible, please contact Silver Flask Fishing at (920) 268-9918 to request earlier or later start times. Each tour is a 4-hour block, but if you are satisfied after 2-hours you have the option to cut the tour short. For maximum enjoyment we suggest the full 4-hour session. 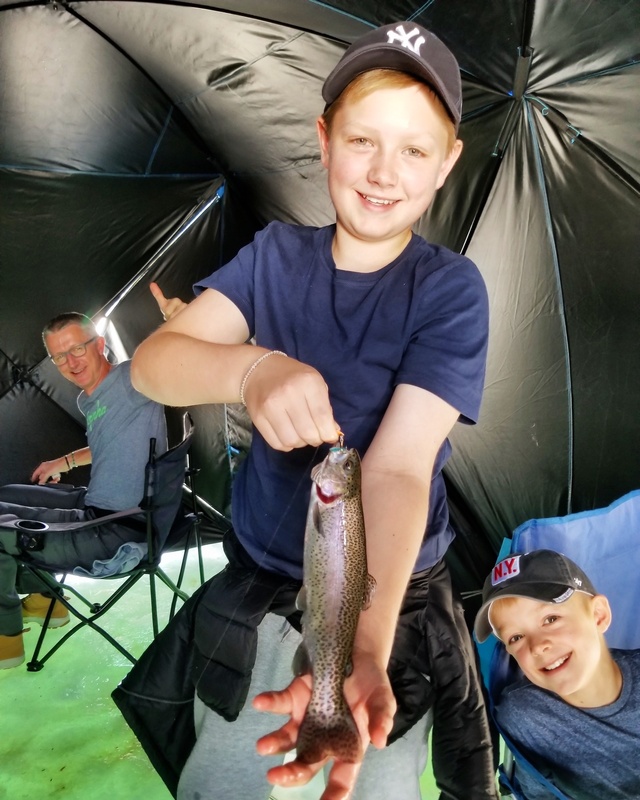 Please obtain a Colorado fishing license prior to your trip. You may purchase your license online: http://cpw.state.co.us/thingstodo/Pages/Fishing.aspx or call 1-800-244-5613 or a local sporting goods retailer. Gratuity is not included in the listed prices, but is always appreciated. Angler Rates: 1 person- $150 2 people- $250 3 people- $300 4 people- $350 5 people- $400 6 people- $450 Multi-person discounts will be reflected at checkout.